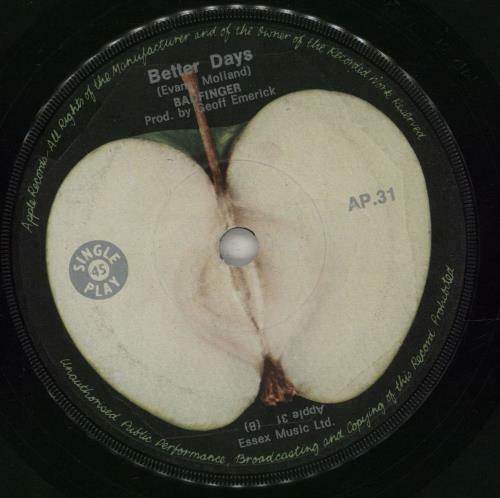 BADFINGER No Matter What (Rare 1970 South African solid centre 7" vinyl single with Apple labels, also including Better Days, with the Apple Company die cut paper sleeve. 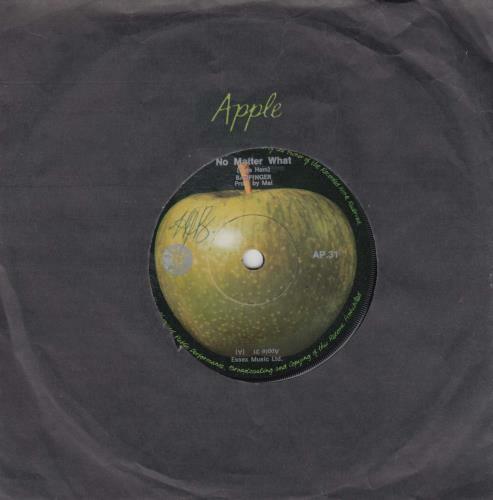 The A side label has a name handwritten, however the vinyl shows only a little light signs of play, a really nice example and only the third copy we have ever had AP.31). 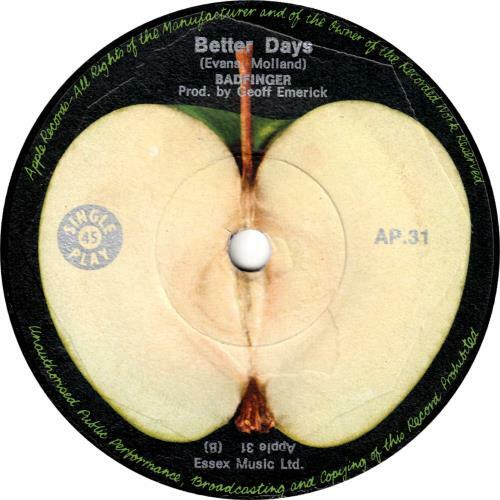 or visit our Badfinger image gallery.